This is a wonderful book from fans of the Lord of the Rings books and movies who share their true stories of how the books and movies have inspired them and enriched their lives. Anyone who loves Tolkien's work will love this book! Personally autographed copies are available at no additional charge below. "Tolkien's works have been an inspiration to readers for many decades. Within these pages are some of the most poetic - and profound - illustrations of LOTR's effects on its audiences, both literary and cinematic... I couldn't put it down!" Renee Alper, Founder of The American Hobbit Association. 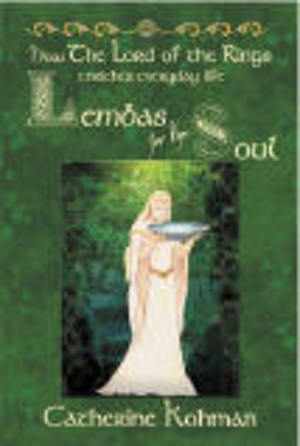 "...I've long thought that collecting these stories into a book would create a treasure - and Lembas for the Soul is it!" Maureen Stewart, Special Guest contributor at TheOneRing.net.